New addition to block/spike training series. 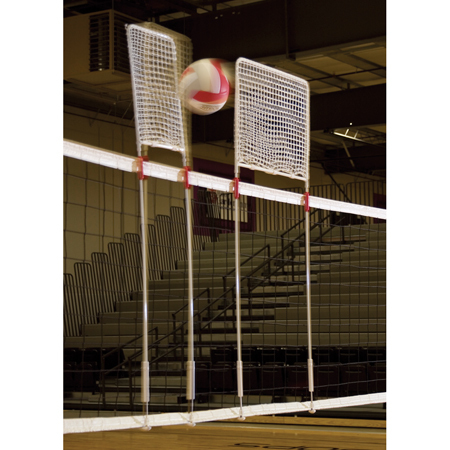 Consists of 2 separate blocking devices that secure to the net for a controlled block every time. Made of nylon netting and a study metal frame, the 2 blocking areas measure 18" X 12" and 18" X 23". Use the block blaster for hitting placement or as a coverage tool in blocking drills. Dual blocking devices can be used in tandem or individually.